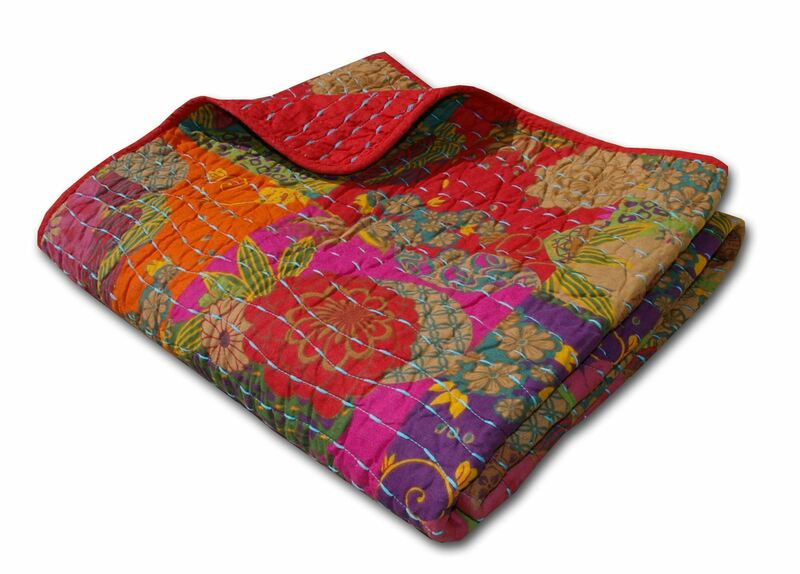 This global fusion quilted throw features a stylized floral and fruit print in bright jewel tones over-stitched in kantha-style waves of bright blue yarn. Retro-modern styling reverses to a coordinating solid color with contrasting quilting. Machine quilted in thick, bright yarn for durability. All cotton face, back and fill. Prewashed and preshrunk. Size: About 50x60". Machine wash.